Congratulations to my friend and critique partner, Suzanne Lilly, on the launch today of Gold Rush Deluge, Book 2 in her series, The California Argonauts. I’ve read GRD and it’s just as good as Book 1, Gold Rush Girl, with a satisfying ending that will keep you cheering for Lucinda and George. Sign up for her email newsletter to find out about upcoming books before anyone else. You’ll also get exclusive bonus materials and contests just for subscribers. One subscriber is chosen to win a $25 gift card each time the newsletter comes out. Sign up for my occasional newsletter. Available now in print and eBook formats. What’s your favorite YA historical romance? In the past few months I’ve read a mix of middle grade and young adult novels. First I started with a YA I’d heard lots of good things about: Rainbow Rowell’s Fangirl. It did not disappoint. Although a quiet book in terms of plot, it kept me on the edge of my seat. Masterful characterization and relationship-building made me care so much about Cath and the outcome of her story. Next was Sarah Rees Brennan’s Untold, Book 2 of The Lynburn Legacy. I loved the first book so much (and her Demon’s Lexicon trilogy – swoon), and couldn’t wait to pick this one up. While I enjoyed it, I did wish I hadn’t waited so long. It’s hard to remember how the end of one book ended when you read it a year or more earlier. Here’s a good problem with a book: I’ve been made to like the characters so much, that I don’t always like what the author puts them through. 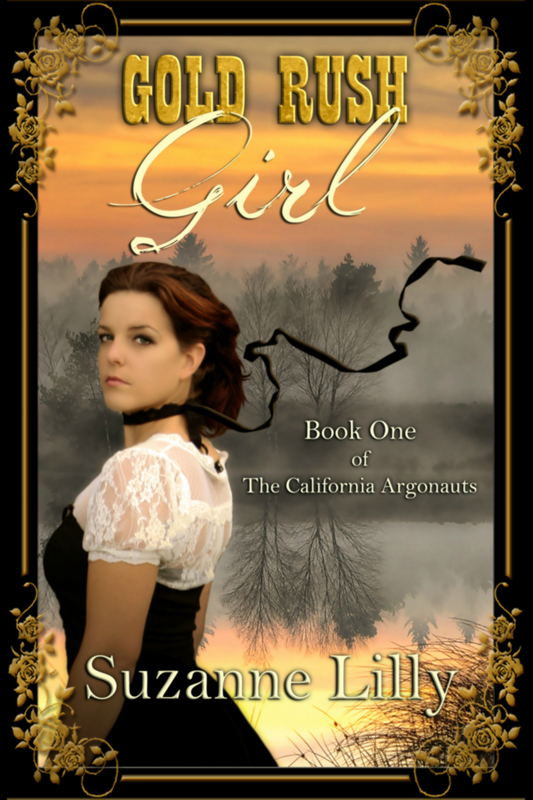 Suzanne Lilly’s Gold Rush Girl is a historical fiction with a sweet romance written by a good friend who is also one of my critique partners. An easy read that will leave you feeling educated about California during the gold rush and will make you feel good. Meg Rosoff’s Picture Me Gone confused me a bit as to its category. I found it with the YA books and it felt YA, but the main character was only 12 years old. Despite this, it was well written, mysterious, and another quiet yet gripping plot. I think about this book every time I write a new scene with way too much dialogue. Meg Rosoff told a great story without much dialogue at all. How?! Someone tell me how to do this! Next was another book I kept hearing about and finally gave a try.Ransom Riggs’s Miss Peregrine’s Home for Peculiar Children. The cover creeped me out. I didn’t think I’d enjoy this one, but I did. Such an imaginative and atmospheric story and I loved the historical connections. 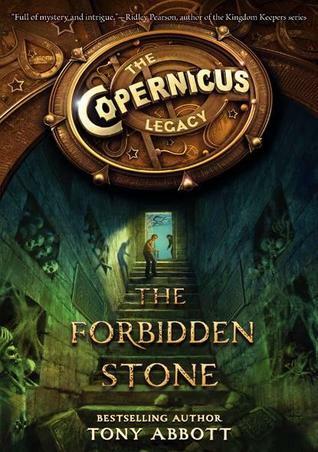 The only real MG on this list, Tony Abbott’s The Forbidden Stone, the first book in a new series, The Copernicus Legacy. A mysterious and fantastical adventure, this book mixes science and puzzles with a race against time. Four kids must save the world. I love when that happens! I realized A-Read (and possible Sprite, too) would enjoy this book. He’s reading it now. Now I’m reading Rick Riordan’s The Son of Neptune, which A-Read read last year. He keeps asking me where I am in the book and almost giving away secrets. I understand. Rick Riordan’s books get me that excited, too. What should A-Read and I read next? I’m pleased to announce the launch of Untellable by Suzanne Lilly. Suzanne is my friend and critique partner and I’m thrilled that her second book has just been published by Turquoise Morning Press. I only got to read the first chapter of this book, quite some time ago, but doesn’t that cover make you want to dive right in? About the book: Aspen Dwyer, recently emancipated from foster care, is searching for a place to hide from a past with secrets too dark to share. Honey Creek, Ohio, presents itself as the best place to start a new life and stay undercover. There she meets Colton Moraine, a man with strong family ties and an even stronger sense of loyalty. His boisterous, loving family welcomes Aspen with warmth she hasn’t felt in years. She’s surprised at how quickly and deeply she falls for Colton. When a dangerous criminal comes to Honey Creek, intent on his revenge against her, Aspen must choose between two options. Should she stay and risk her life and the rejection of the people she’s grown to love? Or should she run again, and leave behind any chance of a happy future? About the author: Suzanne Lilly writes lighthearted young adult stories with a splash of suspense, a flash of the unexplained, a dash of romance, and always a happy ending. Her short stories have appeared in numerous places online and in print, and she has placed and received honorable mentions in writing contests. Her debut novel was Shades of the Future in 2011 followed by Untellable in 2012. She lives in Northern California where she reads, writes, cooks, swims, and teaches elementary students. Peter Abrahams’s Down the Rabbit Hole – I don’t think I could say enough good things about this mystery. I loved it. So did Stephen King. Joseph Delaney’s Revenge of the Witch (The Last Apprentice 1) – A-Read read the first 2 in the series, and has the 3rd on deck. A little dark and spooky. Phoebe Kitanidis’s Glimmer – A very unusual story in a very unusual setting. Tara Kelly’s Amplified – I just love her writing and her protagonists and her male leads. Laini Taylor’s Daughter of Smoke and Bone – Beautiful writing, unusual story, kick-a heroine. Suzanne Lilly’s Shades of the Future – Sweet and heart-tugging. Kate Johnson’s I, Spy? – A fun spy romp. Dump your disbelief prior to page 1. What have you read recently that you MUST rave about? Shades is Out in the Wild! Shades of the Future by Suzanne Lilly is now available by ebook (on Amazon and from Turquoise Morning Press) and will soon be available in paperback. I read it last week – devoured it in two days, actually. Shades is a sweet young adult romance with a lot of emotional ups and downs. This is a perfect beach read: quick, romantic, and sweet. Enjoy! What’s your perfect beach read? This isn’t my usual posting day, as you know, but I’m so excited to be part of the big reveal for author Suzanne Lilly’s debut, Shades of the Future, due out July 2012 from Honey Creek Books. Suzanne has been my friend and critique partner for more than five years and I couldn’t be happier for her! I’m doing a simultaneous cover reveal here, at the Honey Creek Books blog, and on my Suzanne Lilly author webpage. Thank you to Kim Jacobs for designing such an eyecatching cover. Doesn’t it sound amazing? And how cool is that picture-in-the-shades thing? 1. What is the title of your current WIP? Tell us about it. The Transparents is a middle grade book about a boy who suddenly becomes invisible during math class, and learns to use his new ability to become a more confident version of himself and to solve a mystery to save his older brother and his best friend. Hmm, that’s a good question. I started blogging about three years ago to have an online presence. It has become a good way to make friends with other writers on the journey to publication. 3. If you could do anything tomorrow, what would you do? Leave for France. But I’ll have to wait until late Spring. Okay, since I can’t leave tomorrow for France then I want to do exactly what I normally do on Thursdays and Fridays if I don’t have stuff to do at my kids’ school: exercise by playing Just Dance 3, do a tiny household chore (like throwing a load of laundry into the washer and then forgetting about it, or sweeping my kitchen floor), reading an actual book while eating my lunch (or meeting a friend out for lunch), and a whole lot of writing/revising. 4. Describe your happy place. It’s quiet and calm (unless I’m in the mood for singing and dancing) with soft places to sit and lots of hot tea and peanut M&Ms. Then again, sometimes my happy place is doing something silly with my kids. 5. What was your first happy memory? A birthday party at McDonald’s when I was about 4. Okay, so believe it or not, but this former globe-trotting humanitarian aid worker’s scariest moment was last summer on a roller coaster with my kids. I’m not a thrill seeker – at least not that kind – but my boys love roller coasters and I thought our local Six Flags park’s Bobsled looked doable for me. Nope. Never again. Sorry, guys. 7. What is the funnest thing you did today? Today is not a good day to ask me that question since I spent most of the day feeling ill. The funnest thing I did last Tuesday was play Simon Says in French with a group of kids in Kindergarten through 2nd grade. 8. What is the strangest place you’ve ever gotten an idea for a story? On the toilet. Oops, nope, wrong question. Mostly I write on my living room couch. 10. If you just won a ticket to anywhere in the world but had to take me, where would you take me? Why? I would take you to Rwanda so you can see how I lived for a couple of years, visit the mountain gorillas, and look for my friend Marie-Josée because she’s awesome and you’d totally get along. Okay, your turn. In the comments tell me where in the world you’d take me and why. And Suzanne, if you feel like it, you can answer all the questions on your blog someday.